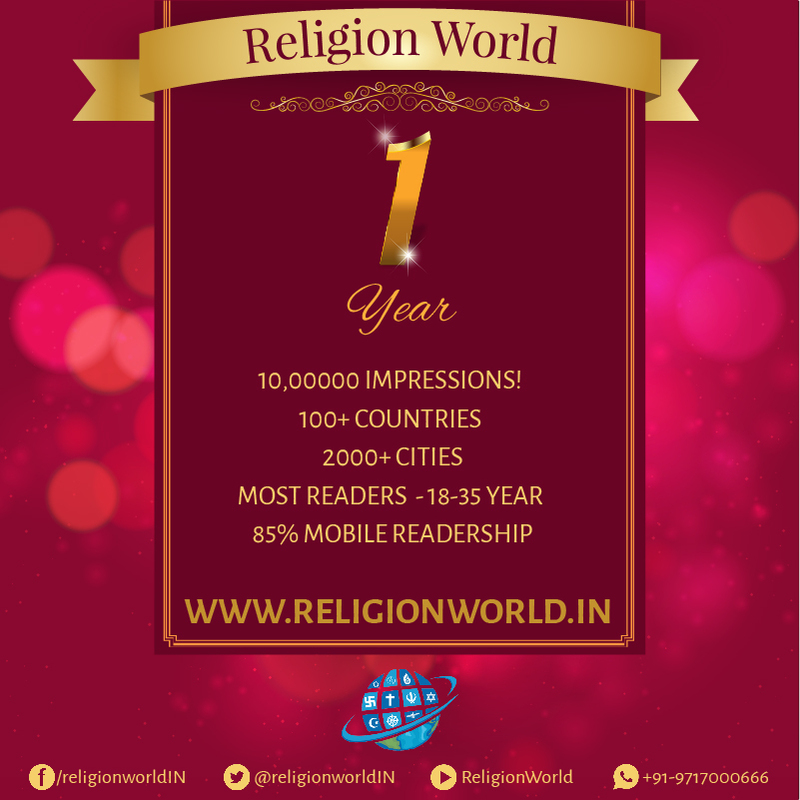 For Hindu’s Lord Rama is the significant figure, there is no one who is as popular as Rama. 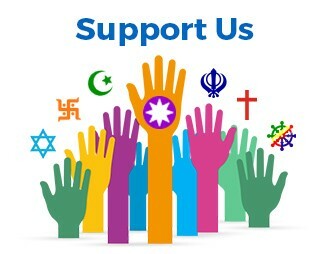 For Hindu’s Rama and Ramyana are not just epic scriptures but an emotion. 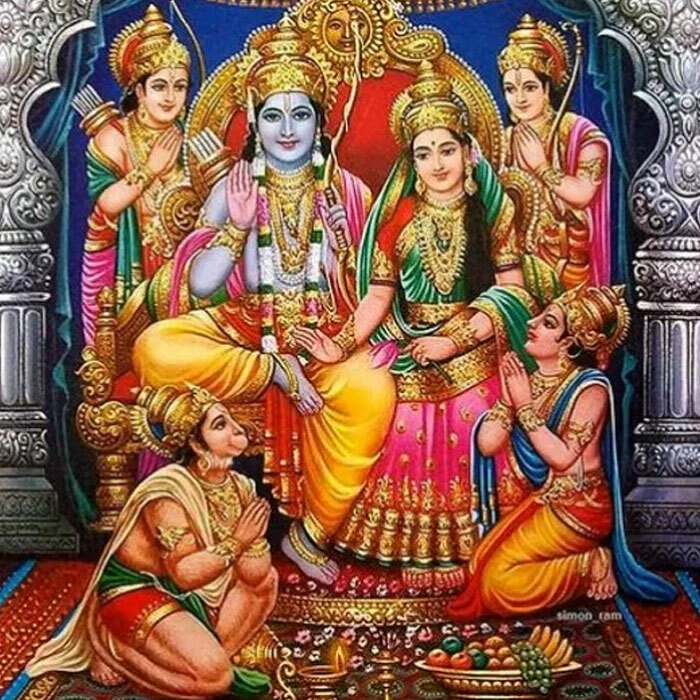 Rama Navami which falls on 14 the April is celebrated across India with great enthusiasm and devotion. From Ayodhya to Rameswaram, and Orchha to Varanasi, Rama devotees follow several traditional rituals and also observe fasts during this festival and doing the Ramayana and Sundara kanda Parayana during the Navaratri and in south India Sita Rama Kalyanam is the most popular ritual on this day. It is therefore natural that there are many temples dedicated to Rama all across India, on this Rama Navami let us revisit the most significant places in South India connected to the life of Rama – Ramayana. 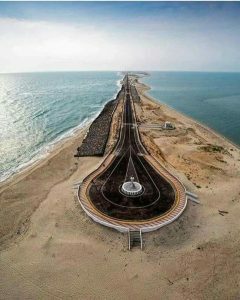 Every Indian and foreign national who believe in Ramayana epic must visit Rameswaram and Dhanushkodi at least once in their lifetime to experience the reality of the epic written 1000s of years ago. Rameswaram is the most popular place in Tamil Nadu. Rameswaram located in Pamban Island is the starting place where Rama started his journey towards Sri Lanka. Rameswaram is one of the important places connected to Ramayana which has a strong mythological connection with the epic. Rameswaram is where Lord Rama built Rama Sethu across the sea to Lanka to rescue Sita from Ravana. After slaying Ravana, Subsequently, Lord Rama returned here and offered his repentance prayer to Lord Siva to absolve his sins that he had committed by slaying Ravana. 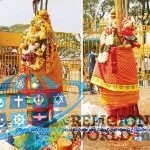 This legend is the main reason for Rameswaram to become one of the major religious destinations in India. The name of the place is derived from a Sanskrit word which literally means “The place where Eswara was worshipped by Rama”. Let’s see what makes Rameswaram one among the important places connected to Ramayana. Dhanushkodi is an abandoned town in the southern most tip of Pamban island. Lord Rama built the Rama Setu here. The pilgrims usually bath in the ocean here before completing the pilgrimage to Rameswaram. The spot is considered a sacred confluence of the Bay of Bengal and the Indian Ocean. This place is the origin of sacred Rama-setu; but in the past 50 years, this holy pilgrimage place has become a ruined town. On 22nd December 1964, this city was destroyed by a cyclone. One part of Shri Ram setu is known as Dhanushkodi (Dhanushkodi means an end of bow) because about 17, 50, 000 years ago, Sriram marked this place with end of His Kodanda bow for building a bridge (setu) to enter Ravana’s Lanka. 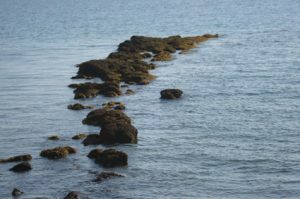 Even today, we get to see a chain of big stones in one line in the form of ruins of Rama-setu. Rama-setu is an amazing form of architecture created by Nala and Neel. The length and width of Rama-setu is in the proportion of 10:1. Its detailed description is found in Valmiki Ramayana. After taking measurement also, it is found that its width is 3.5 kms whereas its length is 35 kms. Several generations of Hindus know the story of a tiny squirrel that rendered its service in building the Rama-setu, as well as the story of the floating stones. It is believed that before the battle between Srirama and Ravana, Vibheeshana had surrendered to Srirama in Dhanushkodi. And after the war of Lanka eneded, it is at this place that Lord Rama hasa crowned Vibheeshana as the King of Lanka. Lepakshi near Hindupur in Anantpur District is popular for its Veerabhadra Temple and hanging pillars. But it has a strong connection to Ramayana – infact it has got its name from Ramayana. It is believed that this the place where the ‘Jatayu’ the vulture in Ramayana fights with Ravana when he abducts Sita in his vimana. And he fought fiercely to protect Sita till Raavan had cut his wings off and fell on the ground. Sita prayed for his soul to survive even when she has flown away in the Pushpak Vimana. Heavens opened up and it rained making the padam filled with water and Jatayu could quench his thirst to survive till Lord Ram came hurrying up to him. Lord Rama after finding jatayu, uttered the word lepakshi (In telugu లేపాక్షి meaning arise bird) which enabled him to get Moksham. Such is the marvel that even today, this padam will have water at some portion somehow. It is always wet with water coming from a small hole where nobody knows the source. Bhadrachalam is a key town of Pilgrimage importance located in the Khammam District of Telangana. The temple town of Bhadrachalam is situated on the banks of Godavari River. 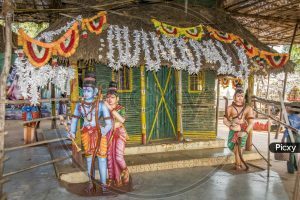 Parnasala in Bhadrachalam has great importance in the events related to the Hindu epic Ramayana. It is believed that this one of the places where Lord Rama along with Lakshmana and Sita spend some time during their exile. The name Parnasala translates to a hut made of leaves, and might in reference to their house. A stream runs nearby the river which is called Sita Vagu, it is believed that Sita used to take bath here. Many instances from the epic are said to have taken place here, like the story of golden deer which led to Sita’s abduction. However, the most significant event of the epic which is the seeta haran (the abduction of Seeta) by Ravana also happened here. One sees statues of Ravana, Sita and Lord Rama depicting the event at the temple. Hampi was once the capital of the powerful Vijayanagar empire, which for two centuries was one of the most powerful empires in Indian history. Vijayanagar means “the city of victory”. It was considered at one time greater than Rome and “the best-provided city in the world”. At its height half, a million people lived in the city and the Vijayanagar empire had an army of over one million. Hampi has a phenomenal number of attractions believed to be associated with Ramayana, the Hindu epic. Kishkindha Kanda – has some special significavce to the mythical landscape of Hampi. Rama and Lakshmana reach Kishkinda, the kingdom of monkeys (Vanara Kingdom). According to the local folklore, the events in this episode happened in the environs of Hampi. The geography of Hampi stands as proof for this belief. At the time Kishkinda itself was undergoing a turmoil of a power struggle between the monkey princes Vali and Sugreeva. The more formidable Vali chases Sugreeva out of the kingdom. He takes refuge at Matunga Hill, which Vali can not access thanks to a curse on him. Hanuman, the leader of the Sugreeva’s soldiers mistakes Rama and Lakshmana for Vali’s men. He quizzes them in disguise. On realizing it was Rama, Hanuman becomes his staunch follower of Rama. A deal finally evolves between Rama and Sugreeva. Rama kills Vali and installs Sugreeva as the king of the monkey kingdom. Hanuman prepares to fly to Lanka in search of Sita. As a tourist to Hampi, you can visit the places that are associated with this episode in Ramayana. The whole of Hampi’s landscape is attributed as the mythical kingdom of monkeys. The Anjaneya Hill, just across the river is believed to be the place where Añjana gave birth to Hanuman. Rishimukh island is the place where Hanuman first meets Rama and Lakshmana. 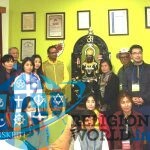 This is a holy place for the Hindus. You can spot a hermitage at the centre of this island. A bit east on the island is the Chandramouleshwara Temple. Sugreeva’s Cave is located on the banks of the river on the way to Vittala Temple. While Ravana has taken Sita by the flying chariot, Sita dropped her jewels as a sign to aid Rama. Sugreeva finds the fallen jewels and safe keeps in the caves. Later he shows it to Rama and asserts that it was Ravana who has abducted Sita. Even the marks on the rock surface here are equated with the motifs on Sita’s sari (costume). Next to it is a pond known after Sita’s name. There is a temple called Chintamani at the Anegondi area on the edges of the river. This cave is where, according to local beliefs, Rama met Sugriva along with Hanuman. 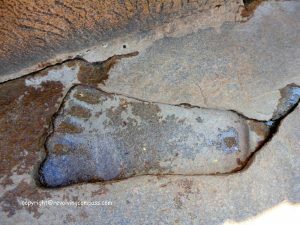 At Chintamani is a footprint impression on the rocky sheet. It’s considered as the spot from where Rama aimed at Vali and shot the arrow. Chintamani is the name of precious stone (jewel), Rama gave Hanuman to identify him as Rama’s messenger. It’s believed that it’s at this location Rama gave this jewel to Hanuman, as Sita can easily identify it. The riverbank near Kodandarama Temple, near the Sugreeva’s cave, is the place where Rama crowned Sugriva after killing Vali. Malyavanta Hill, located almost at the southern fringes of the ruins site has a temple dedicated to Rama at its summit. Rama and Lakshmana waited here during the rainy season before raiding Lanka. A cleft on top of the hill is believed to have caused by Lakshmana’s arrow. The town of Anegundi, about 5 km from Hampi, is situated on the north bank of the Tungbhadra River. Local people believe this to be the ancient place known as Kishkindha where Rama met Hanuman and Sugriva. The Rishmukh mountain mentioned in the Ramayana is also near Hampi. 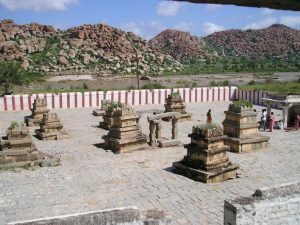 The ancient place, Kishkindha, was ruled by Sugriva and Bali. After a quarrel with Bali, Sugriva was driven out. He then went to stay at Matanga-Parvati Hill. One can get a good view of the surrounding area from the top of this hill. While searching for Sita, who had been kidnapped by Ravana, Rama and Lakshmana went south and met Sugriva and Hanuman. Rama killed Bali and restored the kingdom to Sugriva. While Hanuman went to search for Sita, it is said that Rama stayed at Malyavanta Hill, which is on the road to Kampili, about 6 km East of the Virupaksa temple. There is a Ranganatha temple there with a large deity of Shri Rama. 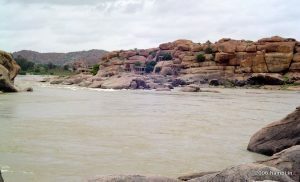 On the way between Virupaksa temple and Vitthala temple, there is a cave on the bank of the Tungabhadra river where Sugriva is said to have hidden Sita’s jewels for safety. There are marks and streaks on the rocks, which are said to have been made by Sita’s ornaments. There is a huge mound of scorched ash in the nearby village of Nimbapuram that is said to be the cremated remains of Bali. The birthplace of Hanuman is said to be a little to the northwest. The Hazara Rama temple (one thousand Ramas) is believed to have been a private temple for the royal family and was originally called Hajana Rama, which in Telegu means the “palace temple”.